The Twelve Communities in Afugiri Umuahia North Local Government Area on Sunday said they have mobilized their People and Permanent Voters Card to ensure Total Victory for Senator Theodore Orji for Abia Central.. 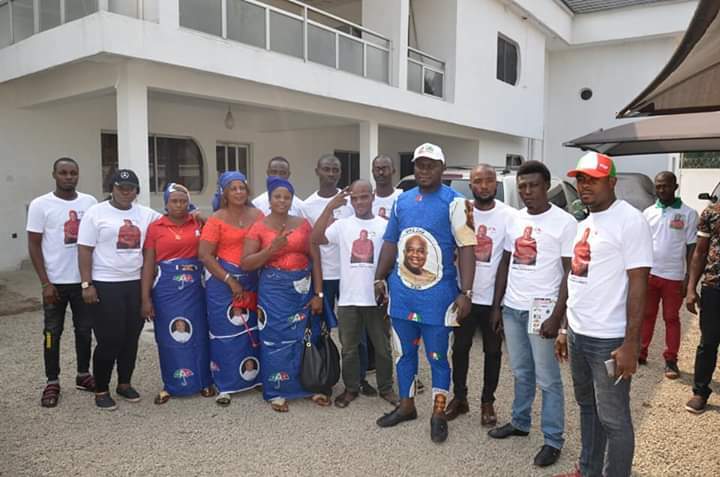 Prince Emeka Elias Ihedioha took the Message of the Peoples Democratic Party and Senator Theodore Orji to the Twelve Communities in Afugiri,Umuahia North Local Government Area. The Communities vowed to Vote For Senator Theodore Orji come Saturdays National Assembly Election.